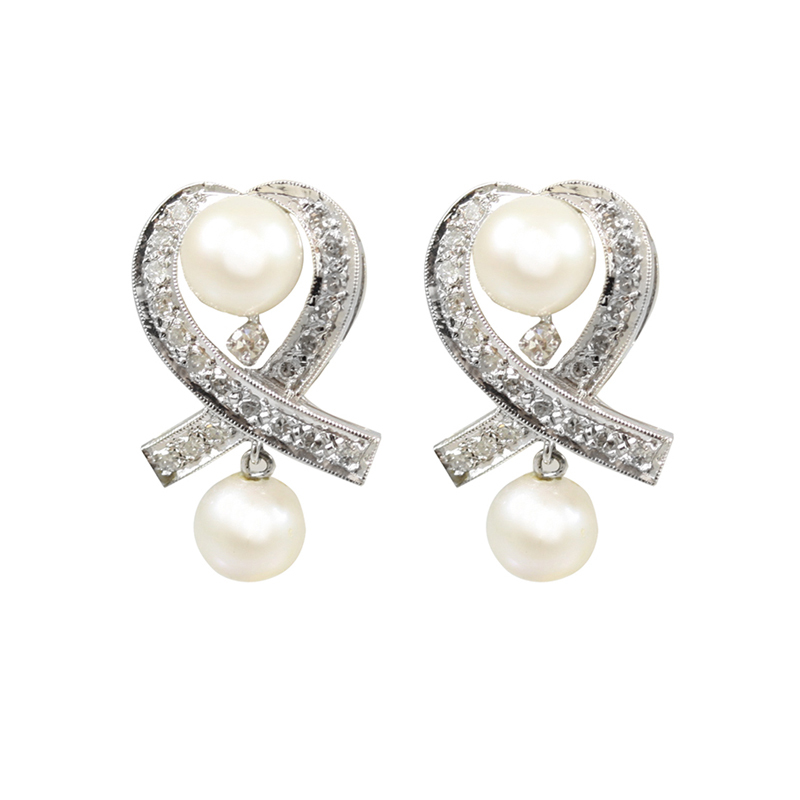 Estate These elegant white gold diamond and pearl earrings create a strong statement. Each 14 karat white gold earring contains one round white cultured 7mm pearl prong set in the center surrounded by twenty single cut diamonds prong set which embellish a curved cross design featuring a white cultured 7mm pearl dangle. All of the diamonds have a combined total weight of 0.50 carats.